First time to the open market in 21 years. A charming and sympathetically modernised and extended three double bedroom detached cottage located in a wonderful position in a highly sought after location. Compton Bassett itself is a beautiful village set in the Wiltshire countryside and is located two and a half miles east of Calne offering typical town amenities. There is a local pub within walking distance just over the road to the cottage. The property itself still boasts many of its original features and sits in stunning gardens surrounding the cottage and offers rural views and similar attractive properties surrounding it. 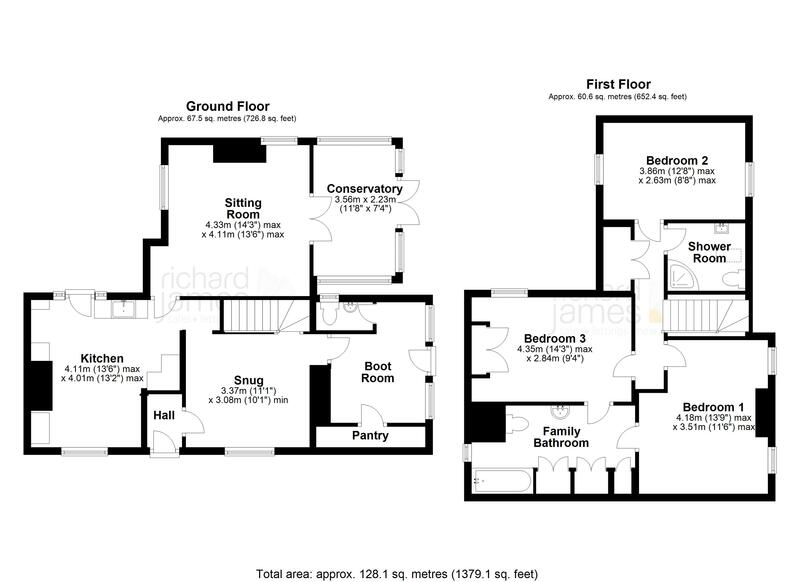 The accommodation briefly comprises a fantastic fitted kitchen with dining area and door out onto a gravelled seating area, a lovely sitting room with a conservatory onto the rear garden, family room with further boot room with walk in storage cupboard/pantry and a downstairs toilet. Upstairs are three good sized double bedrooms full of character with a substantial family bathroom and a separate contemporary shower room. To the front of the property you'll find off road parking with gated access into the beautiful gardens offering a wealth of potential, predominantly laid to lawn with a wooden shed and a separate summer house both with power connected.